Encouraged by the tremendous support of the people of Udaipur, the Fine Dining Restaurant near Lake, Jhumar Restaurant was started in the city of Lakes- Udaipur, Rajasthan (India). This Lake View Restaurant has a refreshing indoor-outdoor ambience and a relaxed charm that invites guests to dine any time of the day. 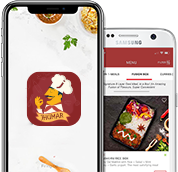 Jhumar, the Family Restaurant near Lake Fateh Sagar is a Multi Cuisine Restaurant serving Traditional Indian, Authentic, delicious, mouth watering Chinese and Continental.You can online food order from our Apps or Website with best Home Delivery services in Udaipur. Order Online Veg/Non-Veg food & you can also place bulk orders for Parties and our team will be providing you Home delivery services. Click Here to Order Food Online. Now enjoy the epicurean delight in the comfort of your home or office by ordering food online at Jhumar Restaurant, Udaipur. All you need is to visit our online food store by clicking on Order Now and your food will be delivered in a short while. We make sure that hygiene and freshness of the food is maintained when it reaches at your doorstep.